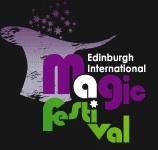 Just a quick final reminder about the Edinburgh International Magic Festival happening in a few weeks 7th – 11th July 2010. I’ve posted some new info below for you and your members. Over 20 of the most amazing illusionists, sleight of hand masters and the funniest comedy magicians will descend upon the Capital, as the first ever Edinburgh International Magic Festival gets into swing across the city. Celebs and Royalty are the typical audience for these top magic pros. Most have never performed publically in Scotland before and may never again. Fan’s of the BBC’s ‘The Real Hustle’, will get the chance to see the world’s foremost authority on con-artistry and casino scams Paul Wilson up close and personal, while ‘Trisha’ followers will recognise a familiar name, when Drew McAdam aka ‘The Human Lie Detector’ takes to the stage to demonstrate his unique skills of persuasion to predict and influence your thoughts. Across four wonderfully atmospheric venues around Edinburgh’s historic Old town, all just 5 minutes walk from each other, Edinburgh International Magic Festival aims to shine a spotlight on this fantastic genre of the arts with the best in Mind Reading, Close Up, Comedy Magic and Classic Variety Magic, but it’s not just about the shows, as during the 5 day festival, audiences will be treated to magical movies, (at the FilmHouse) a magic school for kids and ‘War of the Wizards’, where the best local magicians will compete for honour, glory and a cash prize. Don’t miss our limited ticket offer! Please quote “magicfest” if booking online, no quote required for bookings in person or on the phone. Keelan and Charlotteare the worlds fastest quick change act. They combine dance and illusion to create a fantastic visual performance that has won awards all over the world. Even Simon Cowell loved their act when they performed on Britain’s Got Talent. The Great Nardini’s hilarious act is past winner of ‘Comedy Magic’ section of the World Championship of Magic, held once every three years. The Great Nardini is one of only two Scottish acts to have ever won an award at the magic version of the Olympics. The Scottish Falsetto Sock Puppet Theatre are the comedy double act that has to be seen to be believed. The stars of BBC 3’s Comedy Shuffle and Upstaged, and MTV’s Best Show Ever, they also won Edinburgh Festival Insider Comedy Award 2009 with their sell-out show. Magic School is a series of one off workshops designed to get kids started in magic and give them the confidence to go out and perform in front of friends and family. The President of the Edinburgh Magic Circle, and one of Scotland’s most magical kids entertainers, Gary James will be leading the workshops ensuring that the children get the best training possible. Parents can relax in the Café downstairs overlooking the Grassmarket, or go shopping confident their kids are being looked after by an experienced team of magicians and child minders and HAVING A REALLY GOOD TIME! No stooges, No Camera tricks, 5 days of the best magic has to offer, ‘Just Like That’.